Jamal Khashoggi entered the Saudi Arabian consulate in Istanbul on 2 October; and he hasn’t been seen since. 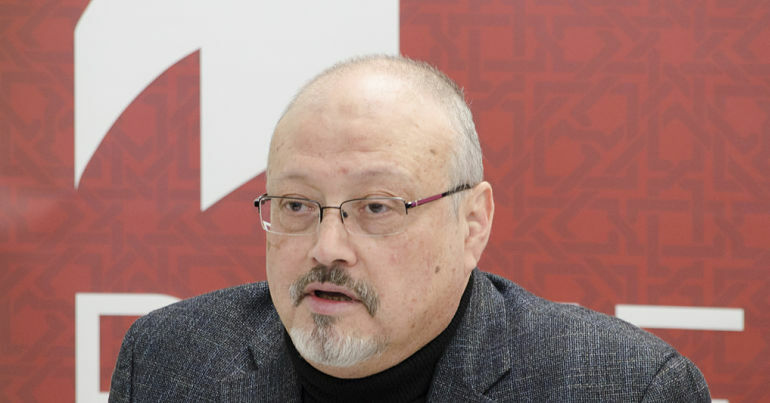 Many fear that the Washington Post journalist and key critic of Saudi crown prince Mohammed bin Salman was killed on the orders of the latter. It is no secret, however, that Saudi Arabia is a brutal and murderous dictatorship. For years, it has been killing Yemeni civilians (including children), stoning homosexuals, and executing human-rights activists. But for many within Western media and political circles, Khashoggi’s probable murder is apparently the line in the sand. Only now, they say, is it time to confront Saudi Arabia. In short, while Khashoggi’s probable murder is indeed tragic, it reveals everything about the Western media’s perception of worthy and unworthy victims. For over a decade, the Washington Post has been heaping praise on Saudi Arabia for its supposed ‘reforms’. In April 2017, journalist David Ignatius claimed bin Salman was “reimagining Saudi Arabia”, saying “reform plans appear to be moving ahead slowly but steadily”. But a year later, reports revealed that the country had authorised “48 beheadings in [the] four months of 2018” – half for non-violent charges. Washington Post owner and world’s richest man Jeff Bezos, meanwhile, was apparently too busy schmoozing with Mohammed bin Salman to notice. In March 2018, US senators Bernie Sanders, Mike Lee, and Chris Murphy proposed legislation to end US support for Saudi Arabia’s devastating war against Yemen. The US Senate killed the bill, with the support of papers like the Post, whose editorial board claimed in the same month that “a better approach would be to condition further American military aid on humanitarian relief measures”. On 11 October, Ben Cardin of the Post wrote about Khashoggi’s probable murder: “the United States cannot be silent or remain inert in the face of an insidious assault against universal values”. In short, while assaults against universal values are nothing new in Saudi Arabia, the Western media’s whole-scale disgust at them certainly appears to be. Since the 1950s, the New York Times has consistently described the Saudi royalty using talk of ‘reform’. But on 8 October 2018, Friedman wrote that, if Saudi Arabia had killed Jamal Khashoggi, “it will be a disaster for the regime of Mohammed bin Salman”. While Saudi Arabia was provoking what most people accept to be the world’s worst humanitarian crisis in Yemen, the Times presented bin Salman as a man of reform. But for many Times contributors, Khashoggi’s alleged murder is a step too far. For the US government, is there a line in the sand? as to whether or not we should stop $110bn from being spent in this country, knowing they have four or five alternatives…, that would not be acceptable to me. do what a real American president would do. Confront Saudi Arabia about this vicious murder of Washington Post columnist Jamal Khashoggi. But Trump is already operating very much how a ‘real American president would do’. Because his policy in Saudi Arabia differs little from that of Barack Obama or decades of US presidents before him. Profits, as always, reign over principles. We should, of course, welcome the fact that many people in the US are now criticising the Saudi regime. But for far too many innocent civilians in Yemen, it’s too little, too late. – Follow and Support Campaign Against Arms Trade. – Read more of our coverage of Saudi Arabia.